Beyond providing data for all 32 NFL teams, PFF also supports network broadcasters with game-preview packets that are used to enhance the in-game experience for fans and viewers. 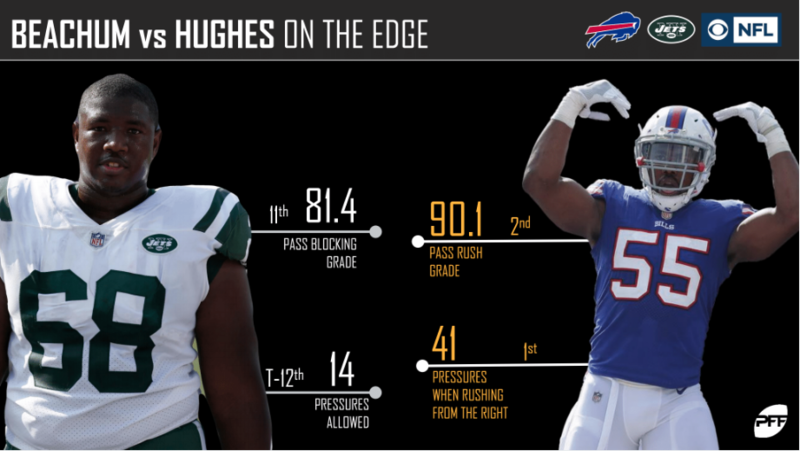 This Bills-Jets preview features the same information our broadcast partners use for team research and in-game production. 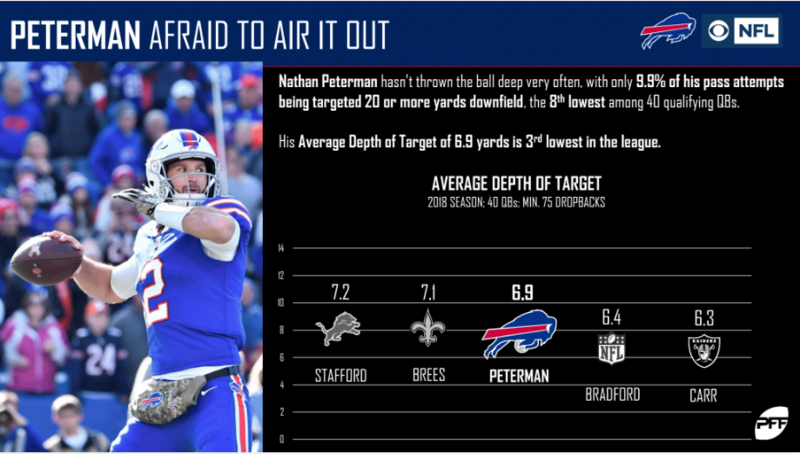 Only 9.9% of Nathan Peterman‘s passing attempts have been targeted 20-plus yards downfield, the eighth-lowest mark among quarterbacks. 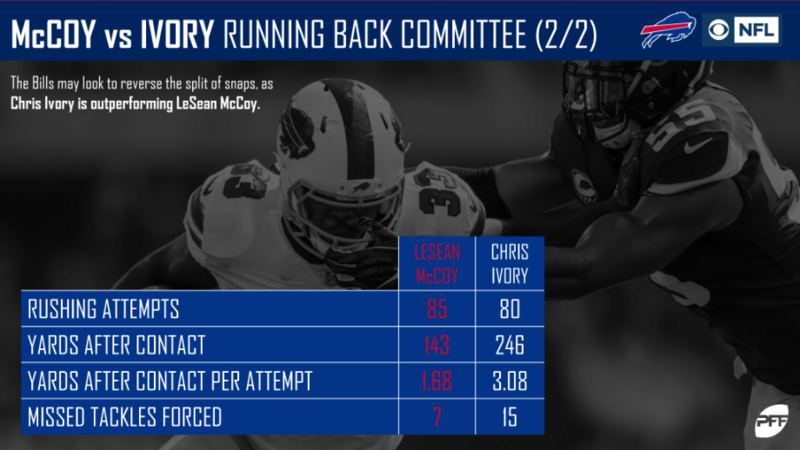 LeSean McCoy may be out-snapping Chris Ivory for the Bills, but the numbers suggest that a reversal is in order. 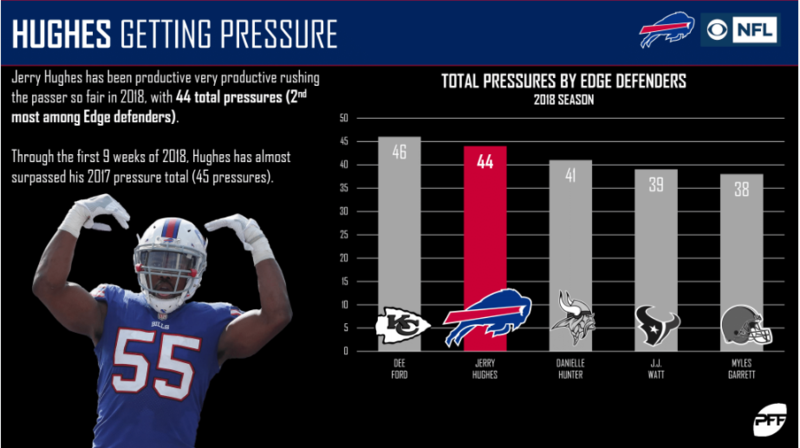 Through nine weeks, Jerry Hughes has amassed 44 total pressures, the second-most among edge defenders. 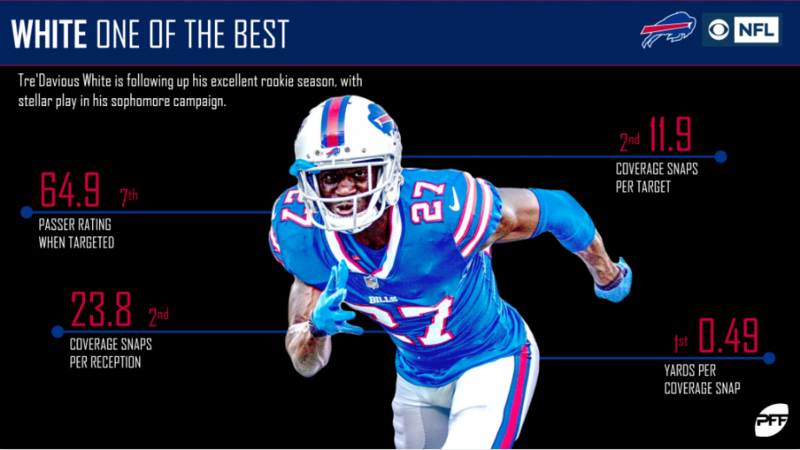 Tre’Davious White is averaging 23.8 snaps in coverage per reception allowed, which is the second-best mark among qualifying cornerbacks. 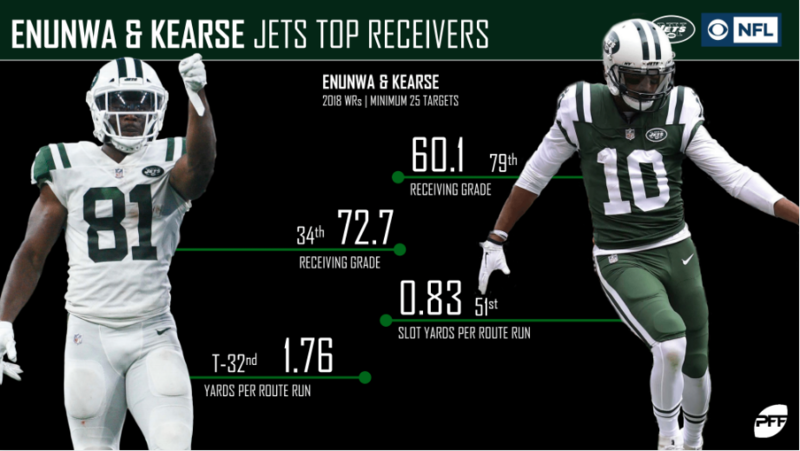 The play from the Jets wide receivers has been far from stellar this season. 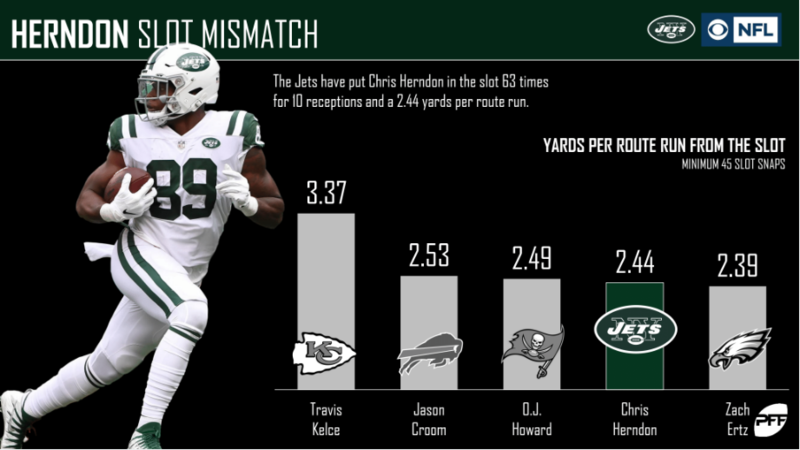 Chris Herndon is developing into a very efficient slot weapon. Avery Williamson has been the first defender to make contact with a runner on 33 rushing plays, and for 32 of those plays, he finished with the tackle. 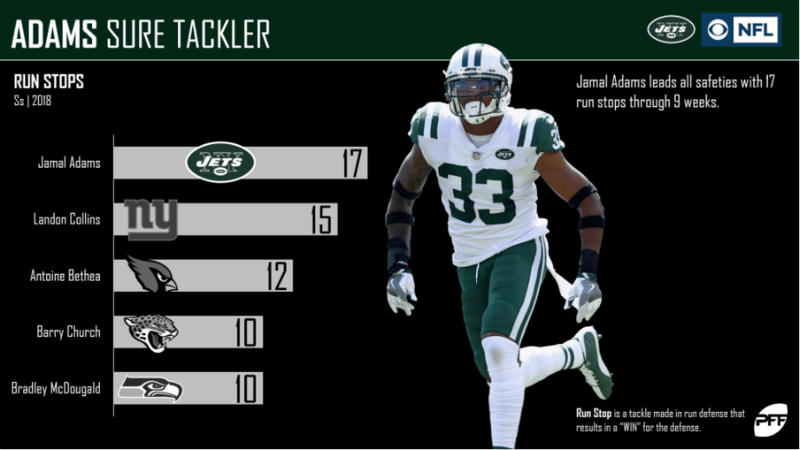 Jamal Adams has been a sure tackler in the secondary. His 17 run stops lead all NFL safeties through Week 9. 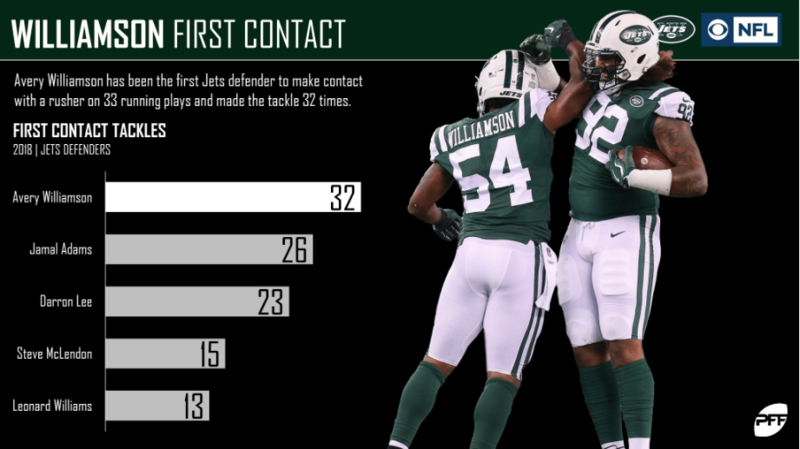 PFF Greenline has projections for the spread, moneyline and over/under of the Jets’ matchup with the Bills. Get its picks here.